At ConfiDental Costa Rica Costa Rica, we believe in preserving as many of your healthy, natural teeth as possible to provide the foundation for a lasting smile. However, when teeth cannot be saved, we believe in using the most stable solutions available. • They look and feel like natural teeth. • They are as strong as natural teeth. • They are as stable as natural teeth. • They last for years or even decades. Today, implants are a lifetime solution. • They require almost the same care as natural teeth. At Confidental Costa Rica, we can restore your lost teeth with truly affordable dental implants. The process may take several steps, and may require you to return to Costa Rica for a second trip. But the benefits last a lifetime…and who won’t love a second trip to Costa Rica!! After you have decided to get dental implants, we will take a look at your case to see if implants are the best option for you. 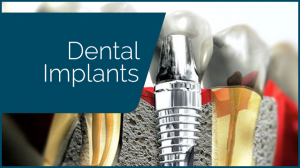 If implants are recommended, your dental surgery will be scheduled. In this surgery, the dental implants will be inserted into your jawbone. In some cases, abutments are placed on top of the implants immediately, or perhaps in a subsequent procedure. Once inserted, the dental implants start a process called osseointegration, in which they become part of the jawbone. Osseointegration is what gives the implants their strength, durability, and stability. They literally become part of your jawbone. Once the abutments are in place, the dentist attaches the restorations (artificial teeth) to them. These may be a single crown, or a bridge with several replacements.  The procedure takes place over four to six months, and will change your life for the better. For rest of your life, you’ll be able to eat whatever you want, smile and laugh with confidence, and look at yourself in the mirror with pride.